Download guide: "Ariba® Strategic Sourcing in a nutshell"
Ariba is a cloud based plattform that supports and enhances the procurement processes. It is currently ranked as the best solution for strategic sourcing. 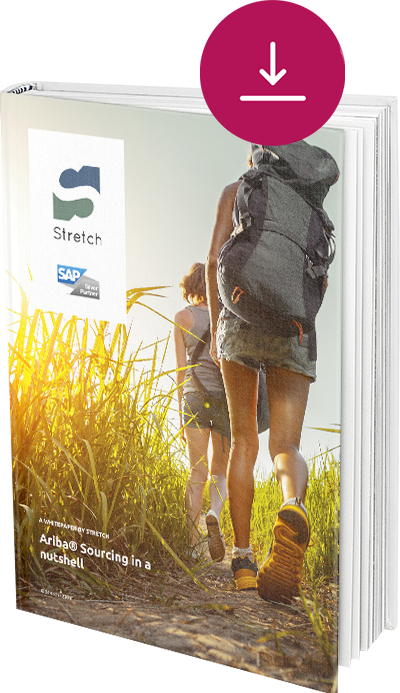 In this guide you will learn how Ariba® Sourcing can help you to automate and improve this process. The perception of what sourcing is, has strongly evolved over the last years. From a very narrow focus on e-Auctions only, it is now generally accepted that the sourcing process should facilitate the full life-cycle of the procurement process for both buyers and suppliers. Ariba is a cloud based procurement platform that can support and enhances the procurement processes for most companies. It is currently ranked as the best solution for Strategic sourcing and is expected to continue to lead the way forward with extended integrations into the SAP world.